Throughout its more than three centuries of existence, New Bern is a city that has seen tremendous highs and devastating lows. From its original stature as the capital of North Carolina, to its rise to fame as the Birthplace of Pepsi, New Bern has had more than its fair share of incredible events, which makes it a delightful destination for any visitor who appreciates American history. Discover the stories that are hidden in plain sight throughout this coastal town, and see why when it comes to historical importance and local legacy, New Bern is hard to beat. New Bern was first settled by a band of German and Swiss immigrants who were led by Christoph von Graffenried. During the time, a number of German palatines had been designated as an “unwanted” group by both their home country and the European countries they had tried to flee to, and eventually, Graffenried received a land grant from England to relocate a number of both palatine and Anabaptists settlers to the New World. The group set sail to the Carolinas, where they settled in a new coastal community that was named “New Bern” after Graffenried’s hometown Bern, which would later become the capital of Switzerland. The original town layout was developed in the shape of a cross, though as extra side streets and roads were added over the years, this initial layout became somewhat invisible. The original town flag, however, still remains, and the distinctive black bear motif can be seen everywhere in the town today – from local street signs and landscaping, to the signature bear statues that are found throughout the downtown area. Unfortunately, the settlement in this new corner of North Carolina did not go smoothly. The Tuscarora tribe had been already living in the region for hundreds if not thousands of years, and after a number of deceptions from the new European settlers, tensions began to brew. This rift grew deeper when Europeans began kidnapping local Indians to sell into slavery, and the settlement itself began to have its own inner troubles as a civil war brewed among the colonists over who was the rightful governor. During this period of instability, the Tuscarora natives attacked in the early 1710s, eventually being defeated when a local New Bern militia was formed, with help from neighboring South Carolina. Despite these early setbacks, New Bern began to grow and flourish throughout the 1700s, eventually becoming the Capital of the new colony of North Carolina. In the mid-18th Century, Governor Tryon convinced the English government to create a “palace” that was fit for a king, and which would serve as the headquarters for the governor, as well as the regional government. Thus, he began developing plans for the new Tryon Palace. The cost for Tryon Palace was over the top at the time – requiring more than £10,000 pounds - and taxes were levied on the colonists to help cover the expenses. Resentment grew over the new stately building, but is was completed nonetheless, and in 1770, Tryon moved into the palace where he lived for a year before moving to become the governor of New York. After Tryon Palace’s completion, the colonists’ disdain over the costs coupled with a new spirit of revolution that was sweeping the nation turned into a catalyst for the North Carolina's War of the Regulation as well as the Battle of Alamance in 1771 and the Battle of Lexington on April 19, 1775, and for a time, the current governor - Josiah Martin – was held a virtual prisoner in his own palace. 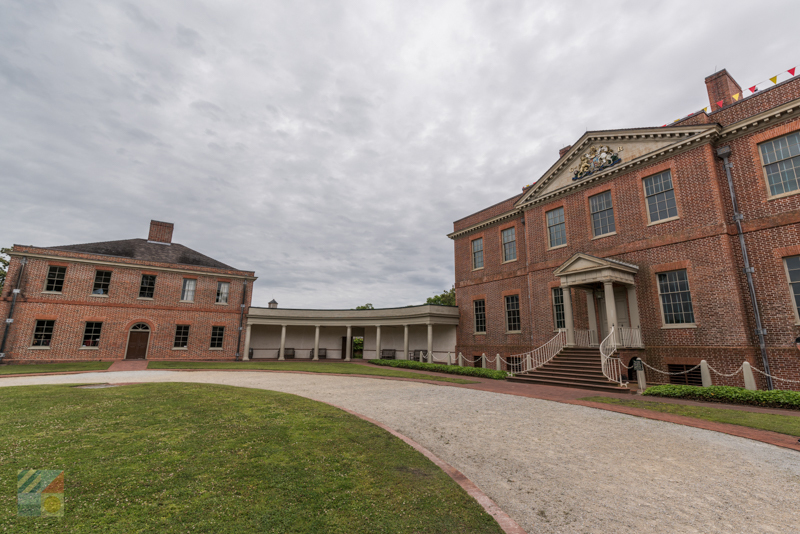 Martin eventually fled the area, and the eventual end of Revolutionary War brought a new purpose for Tryon Palace as the center of the new state of North Carolina’s government. The new wave of state officials were sworn in at the palace in 1777, although the town of New Bern’s stature as the capital of the state did not last long. The capital was eventually moved to Raleigh in 1794, and Tryon Palace was all but forgotten, serving as a boarding house or lodgings until the main building was burned down in a fire in 1798. Once again, however, New Bern bounced back, and the local economy thrived thanks to its trade and shipping routes to the Caribbean and New England. Prosperity reigned supreme, and New Bern retained its status as one of the largest towns in North Carolina. This all changed, however, with the onset of the Civil War. In 1862, the town became the site of the “Battle of New Bern,” with Union Troops eventually taking over and occupying the town for the remainder of the war. During this Union occupation, a wave of Yellow Fever spread throughout the community, and lingered well after the war was over. The good news, however, is that because of this occupation, much of the buildings within New Bern remained intact throughout the war years, and a new Freedman’s Colony was set up along the Trent River to provide a safe haven for more than 10,000 escaped slaves who had fled to the area. As it had previously, New Bern did survive the Civil War and once again came back to life, enjoying another mile marker in history during the late 1800s. In 1893, a local pharmacist named Caleb Bradham had found himself in a sticky situation after purchasing too much sugar under the incorrect assumption that sugar prices would rise dramatically. Caught between a rock and a hard place, Brad decided to use his sugar surplus to create a new carbonated beverage. Originally known locally as “Brad’s Drink,” the name of this super sweet beverage eventually changed to “Pepsi Cola” as a nod to the ingredient pepsin, which helped stomach digestion. Brad eventually had to sell the Pepsi trademark in 1920 to avoid personal bankruptcy, but the drink lived on, and Pepsi Cola is now a name brand soft drink that’s recognized all over the world. In the early 1920S, another milestone event occurred – though certainly not a positive one – when the Great Fire of 1922 occurred, and became the largest urban fire in North Carolina history. On December 1, a fire broke out at the Rowland Lumber Company, the largest lumber company in the state, and eventually spread throughout the town destroying roughly 1,000 buildings. 3,000 New Bern residents were left homeless, and 1/3rd of the town was eventually destroyed BY THE FIRE. But, as usual, New Ben eventually came back, and by the 1940s, interest was brewing in restoring and preserving the town’s historical roots – an ambition that was fueled by the discovery of the original plans for the 1700s Tryon Palace. During the next few decades, a “new” Tryon Palace was built on the original grounds, (with several original supplemental buildings or outbuildings restored), the New Bern Historic District was designated, and the downtown was revitalized to the current attraction it is today. In 2010, when the $65 million dollar North Carolina History Center / Pepsi Family Center was opened to coincide with New Bern’s 300-year anniversary, the town had gained a reputation as one of the coolest and most engaging destinations along the North Carolina coastline. 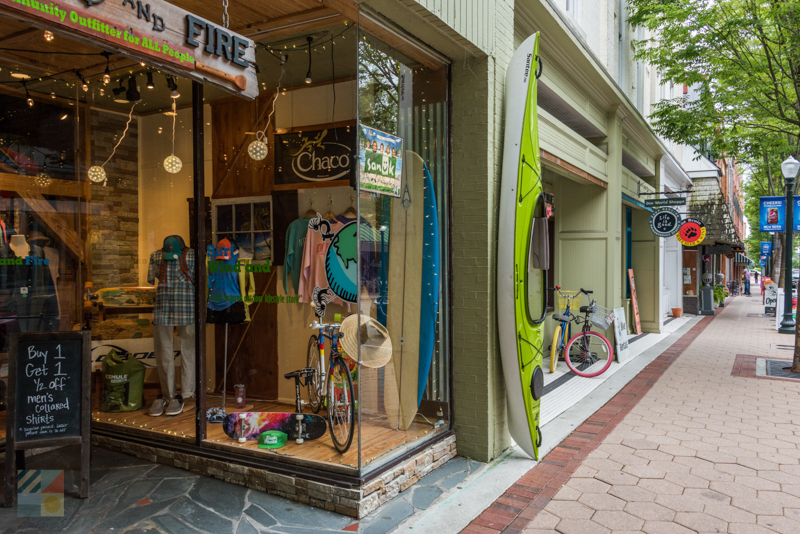 As one would expect in a city as historically rich as New Bern, the community has many sites and attractions that are dedicated to varying aspects of its 300+ years of history. History buffs and everyday explorers alike will want to reserve some vacation time to check out these essential spots, where the local stories and legends truly come to life. There’s arguably no better starting point for a New Bern historical expedition than the North Carolina History Center. This extensive $65 million dollar addition to the esteemed Tryon Palace estate features a wealth of exhibits on the story of New Bern, which starts with the formation of the coastline and which touches on George Washington’s historic visit, New Bern’s brief tenure as the state capital, and the town’s role in the Civil War. 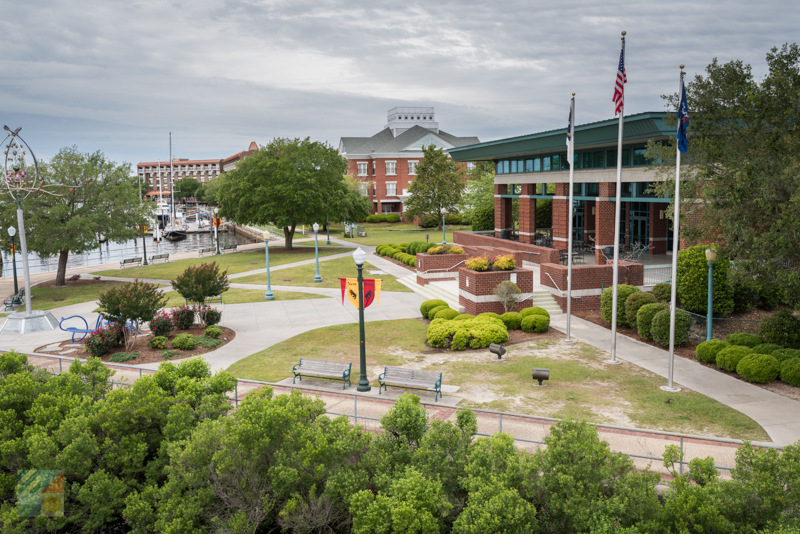 With a number of different components of the complex which includes the Regional History Museum, the Duffy Exhibit Gallery, and the Pepsi Family Center which is ideal for kids, family members of all ages will have a blast learning all there is to know about this historic coastal town. Be sure and reserve a little extra time to explore the extensive Museum Store, as well as Lawson’s Landing, the on-site waterfront café. From hands-on exhibits that young patrons will adore, to fascinating artifacts that outline New Bern’s rise to fame, the North Carolina History Center is a truly all-encompassing stop for a historical odyssey. 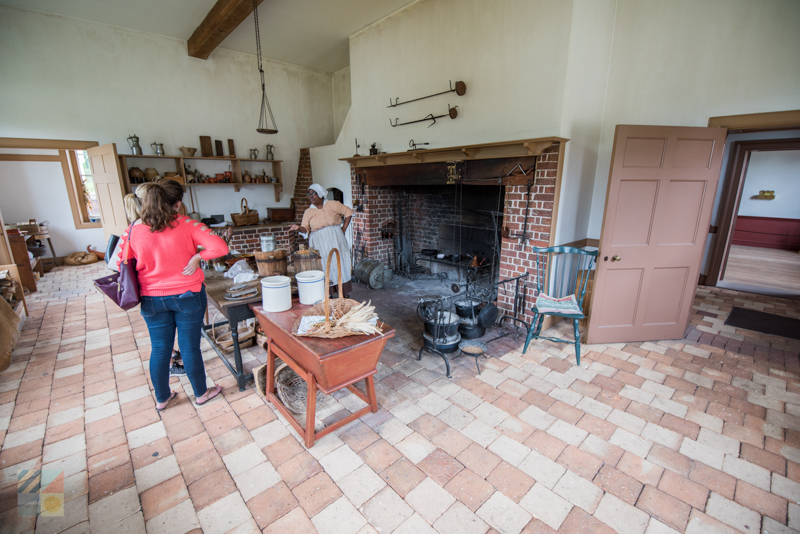 The incredible Tryon Palace was originally known as the grandest public structure in the new Carolina colonies, and today, the complex is a living testament to the region’s earliest roots as the center of North Carolina. Though much of the original palace was burned down in 1798, the main structure was painstakingly restored following the original plans and blueprints, and as a result, the palace is one of the most famed historical attractions in the Inner Banks. Visitors can tour the sprawling palace and learn all about the site’s significance through costumed interpreters and a wealth of period artifacts and exhibits that outline Tryon Palace’s story. In addition, the site is home to 16 acres of stunning gardens that mimic the popular 18th style of British and Colonial gardens, and which take visitors on a different kind of tour through history via well-manicured hedges, colorful displays, and a formal layout. 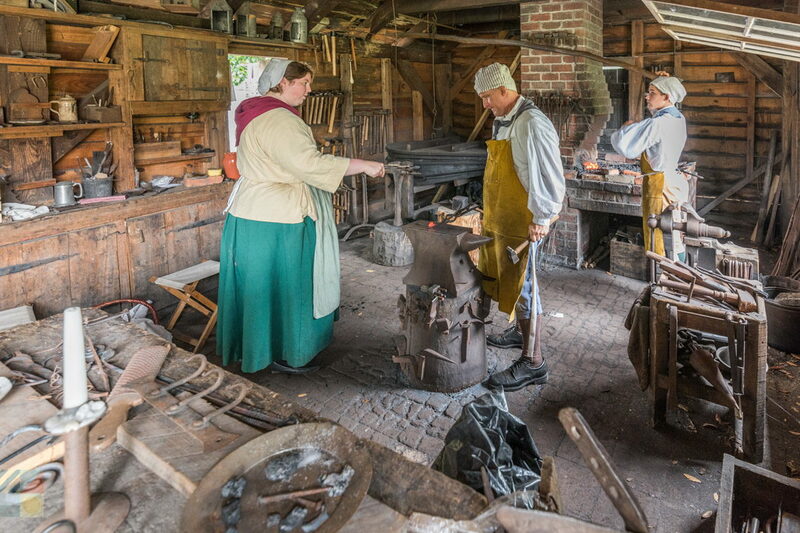 Inside and out, Tryon Palace is truly where history comes alive in New Bern, and visitors of all ages will be enthralled with this meticulously designed replica that highlights the state’s earliest roots. Located in an original 1809 building just four blocks away from the impressive Tryon Palace, the New Bern Academy Museum is an original schoolhouse that had many storied roles throughout its centuries of existence. During the Civil War, the massive brick building was used as a hospital, and in 1881, it became part of the New Bern school system – a title it would retain until 1971. Today, the former school house and hospital serves as a museum, with four engaging exhibits that outline different chapters of the region’s history: the Face to Face: Civil War Sketches & Stories exhibit, the Architecture Exhibit, the Civil War Military Occupation exhibit, and the History of Education exhibit. 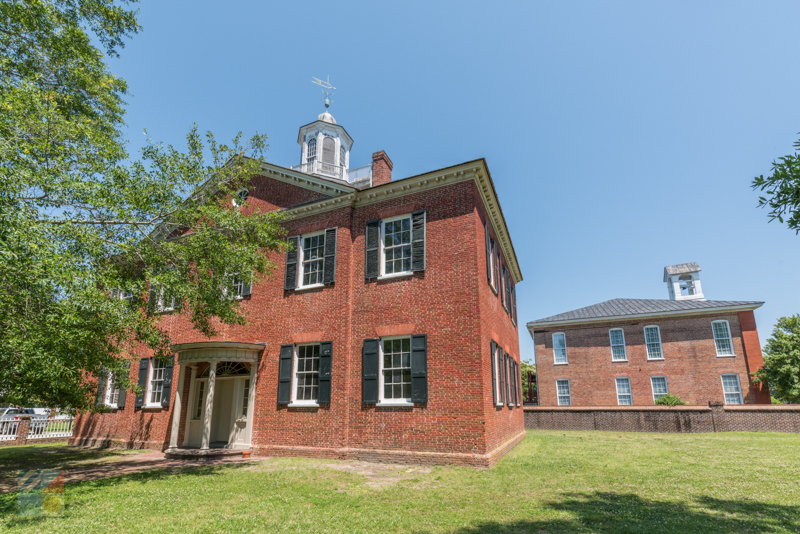 Staff are on hand to give group tours and answer questions, and visitors of all ages will enjoy touring the ancient but well-maintained building while learning about some of New Bern’s most significant moments and contributions to history. Located just five miles east of the center of New Bern, the Civil War Battlefield is the site of the famed 1862 Battle of New Bern, where roughly 1/3rd of the fight to control the city occurred. On March 14, 1862, the Union forces came out the victors, and the Federal troops controlled the town for the remainder of the Civil War, and modern day visitors can walk in the footsteps of the courageous soldiers who stood on the field more than 150 years ago. 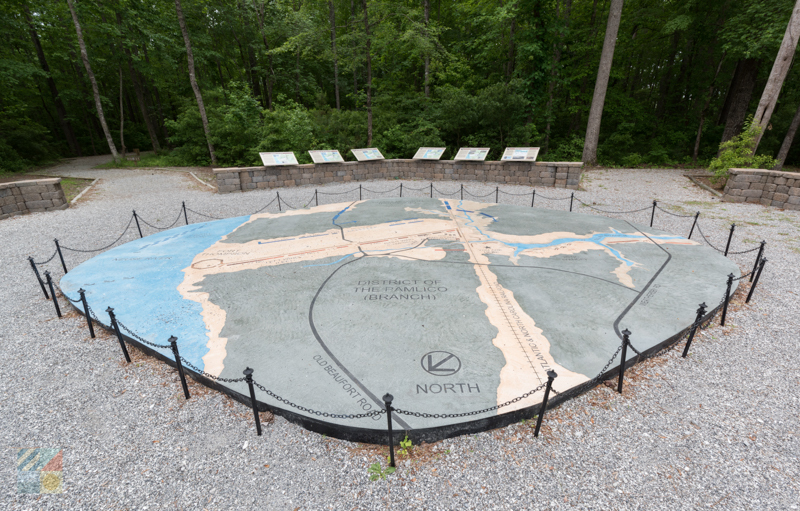 With no development since the original battle occurred, visitors will be able to see the trenches that have remained untouched, and follow the newly created “History Walk” which features 35 interpretive panels that tell the story of the fateful day, as well as the repercussions well after the battle was over. With an on-site visitors’ center, a walking trail that includes bridges over pristine wetlands, and an 11.5 ton granite monument that honors the fallen, the Civil War Battlefield is a must-see site for military history buffs, and any visitor who wants to soak up the history of New Bern’s tumultuous Civil War years. 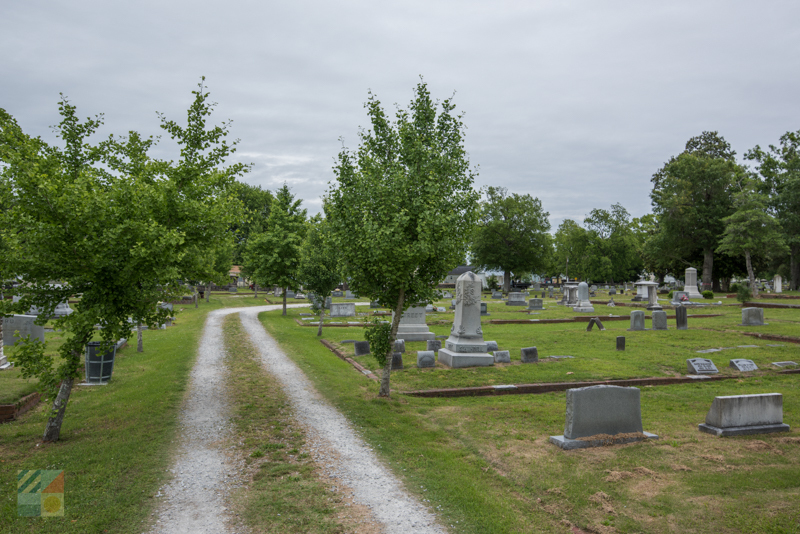 Take a stroll along George and Queen Streets and you’ll encounter one of the most striking cemeteries in North Carolina, the Cedar Grove Cemetery. Draped with Spanish moss and featuring an impressive statue of a Confederate soldier guarding his fellow fighters, the cemetery is home to hundreds of Confederate veterans that were buried at the site after the Civil War. Established in 1800, and bordered by a paneled coquina wall that was built in 1853, the Cedar Grove Cemetery is one of the most distinctive historic cemeteries in the Inner Banks. The Greenwood Cemetery is one of coastal North Carolina’s most historically rich cemeteries, and is the final resting place of a number of legendary residents which includes James Edward O’Hara, a prominent and famous African American legislator who served during the postwar period, and five men who served in the U.S. Colored Troops during the Civil War years. 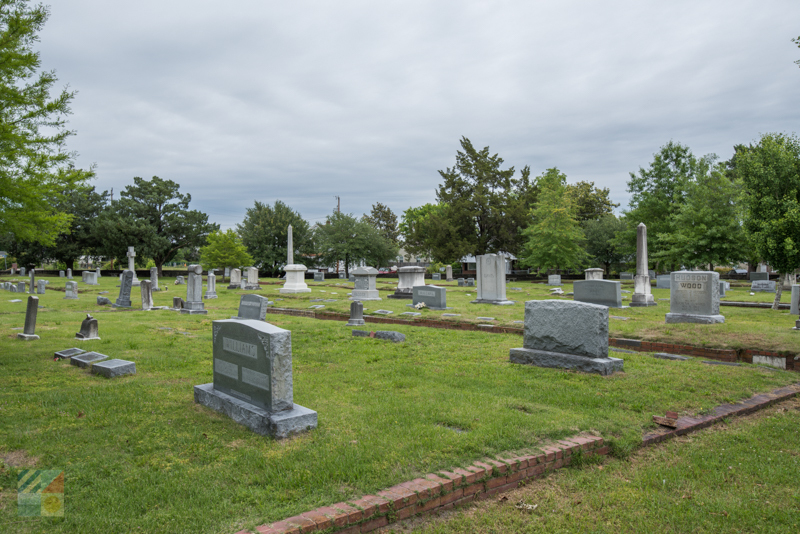 The site is well-known as the second oldest public cemetery in New Bern, as well as the first public cemetery for African American residents. The Greenwood Cemetery is easy to visit, and can be found on the corner of Cypress and Bern Streets. The Attmore-Oliver House, which was first constructed in 1790 and enlarged in the 1830s, was the home of a number of prominent local families for the first 150 years of its lifespan, starting with Samuel Chapman, a retired officer in the Continental army, and continuing with the famed Attmore and Oliver families. 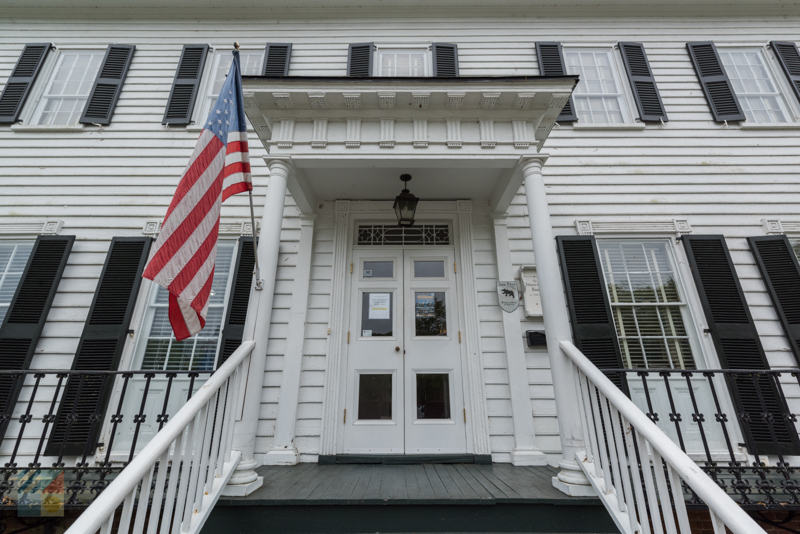 When the last resident Mary Taylor Oliver passed away in 1951, the property was sold to the New Bern Historical Society, which used the home for its administrative offices, and continues to do so today. In addition to being the home base for the Historical Society, the Attmore-Oliver House also features a series of exhibits for visitors, which includes a Civil War exhibit outlining a plan of the New Bern battlefield that was drawn in April, 1862. Guided tours may be available, and the house is free for patrons who want an inside look into regional history from the ground up. The John Wright Stanly House was built in the 1780s for a prominent local citizen, John Wright Stanly, and was designed to impress guests from the inside out. The two story, five bay structure has a stunning central staircase, and is outfitted with period antiques and grand décor that is as awe-inspiring to modern day visitors as it must have been to Stanly’s original guests. Legend has it that George Washington stayed in the home during his 1791 tour of the southern states, and the home also briefly served as the initial headquarters of General Ambrose E. Burnside while the town was occupied with Union forces. Later, the house would go on to serve as a convent for the Sisters of Mercy nuns who worked at the makeshift Civil War hospital, as well as a public library from 1935 until 1965. The home was moved to its present-day locale in 1966, when it was given to the Tryon Palace Commission. Opened to the public in 1972, today the home is a striking example of Georgian and Federal architecture and opulence from the late 18th and early 19th centuries. 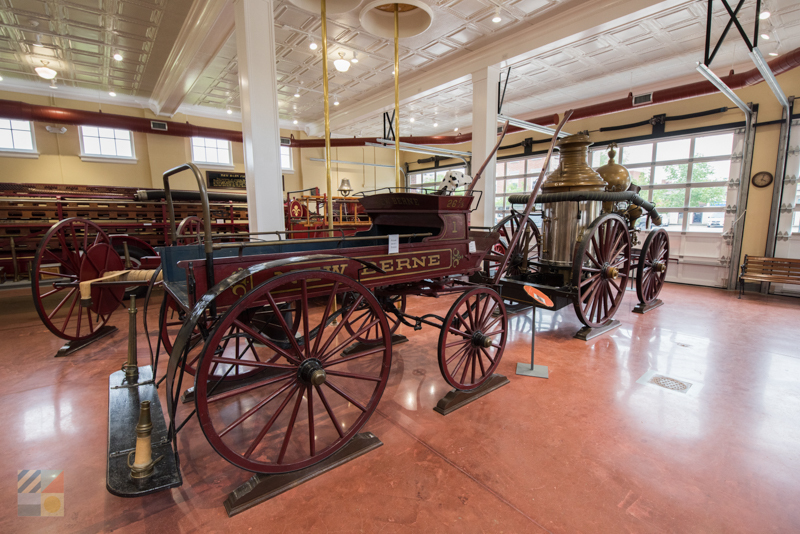 The New Bern Firemen's Museum is one of the most fascinating museums in the region, thanks to a collection of artifacts and exhibits that celebrate New Bern’s status as the home of the oldest fire company in the state of North Carolina. Very kid-friendly and engaging for visitors of all interests, the two-story museum that’s housed within an original firehouse features a vast collection of early firefighting equipment, (including original fire trucks), Civil War relics, and photos and memorabilia from the Great Fire of 1922. Kids and adults alike will be able to hear all the stories of Fire Horse Fred, learn about how the Dalmatian became the official fire dog, and admire all the world records that the New Bern fire department set throughout its tenure. With a distinct look into the city and the firefighting profession’s rich past, this museum is a must-see for visitors of all ages. Pharmacist Caleb David Bradham had no idea that he had a world phenomenon on his hands when he used a sugar surplus to create a sweet and fizzy beverage he called, simply, “Brad’s Drink.” But on that fateful occasion in 1893, Brad had created what would five years later be known as “Pepsi Cola,” and in just a few years’ time, a legendary soft drink was formed. The Birthplace of Pepsi shop and museum in the heart of Downtown New Bern pays homage to this legacy, with a collection of memorabilia and pictures, old advertisements, and a layout that resembles what Brad’s original pharmacy must have looked like more than a century ago. 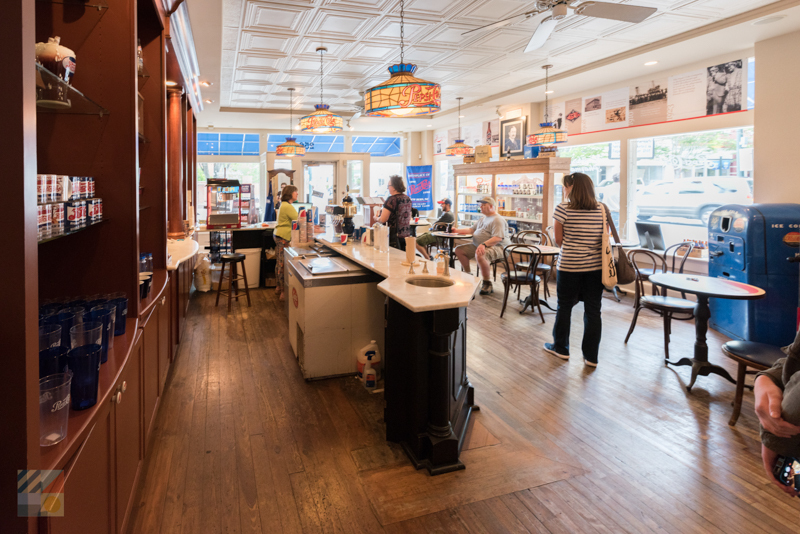 Today, the original drug store building has lots of Pepsi-themed gifts and souvenirs, as well as an authentic soda fountain that serves – you guessed it – Pepsi cola. Visitors can stop in for a refreshment, a little shopping, or just to learn more about how Brad’s Drink rose to international fame. 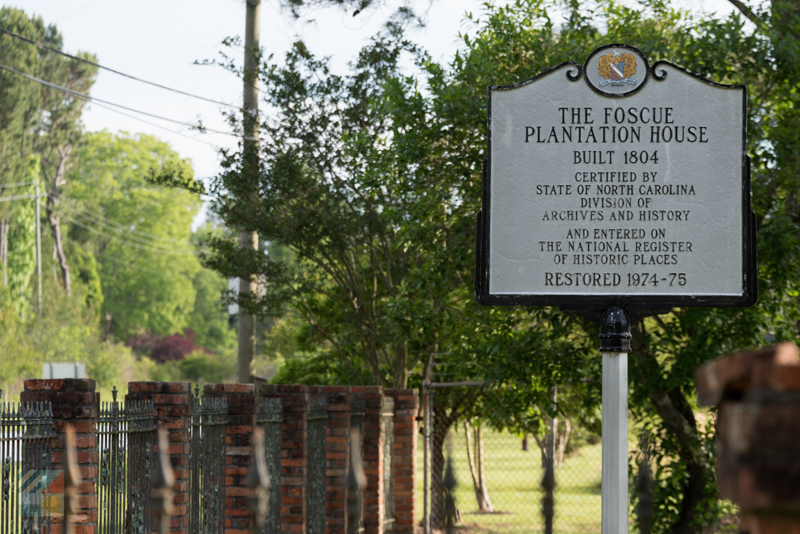 Head just a few miles west of New Bern to the small town of Pollocksville to discover one of the most striking and beautifully restored plantation homes in the Coastal North Carolina region – the Foscue Plantation. This 1800s plantation home was built in 1824 by Simon Foscue, Jr., and has been in the Foscue family for nine generations. 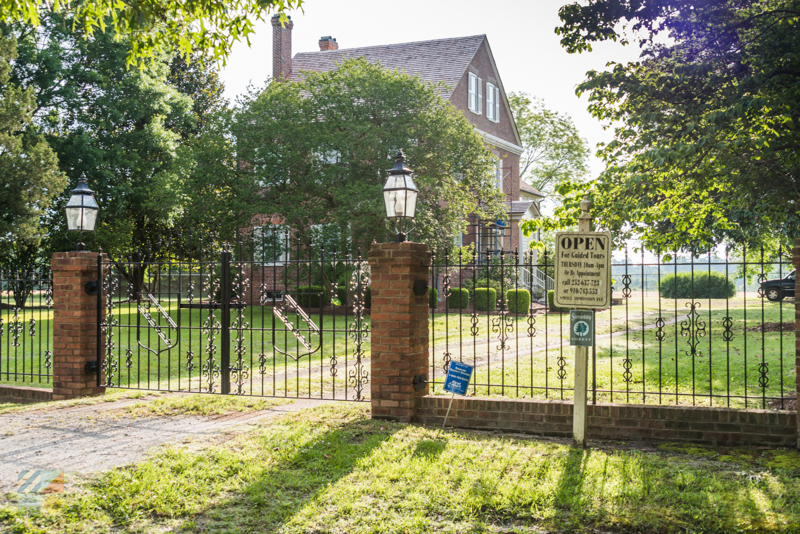 Added to the National Register of Historical Places in 1971, modern day visitors can take a tour of the property on Thursdays and / or with advanced reservations, and can explore three floors of period antiques and unique architectural details that include a working basement, an ancient cemetery, extensive plantation land, and carefully outfitted interior rooms. From the on-site gardens to the stunning antiques, Foscue Plantation serves as one of the most intact examples of mid 19-Century life in a quiet corner of the Inner Banks. Military History buffs will want to take a trip to the nearby town of Havelock, where the local Aviation Museum provides incredible insight into the rich heritage of the US Marine Corps aviation endeavors in Eastern North Carolina. 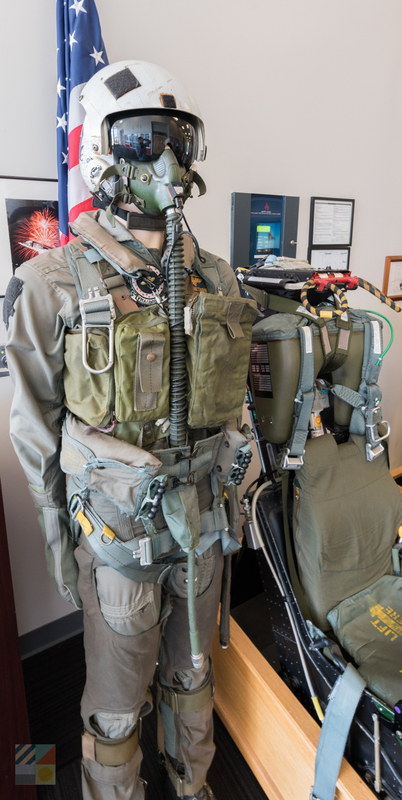 The museum has a host of world-class exhibits that honor these stories in detail through a wealth of historical artifacts, programs, and displays, and a wide range of aircraft can be viewed both inside the exhibit hall, and on the surrounding grounds. Founded in May of 1942, the Marine Corps Air Station Cherry Point is one of the country’s largest Marine Corps air station, and the continuous roar of jets overhead combined with a detailed showcase of memorabilia will create a historical and patriotic atmosphere that will linger well after a New Bern vacation is over. 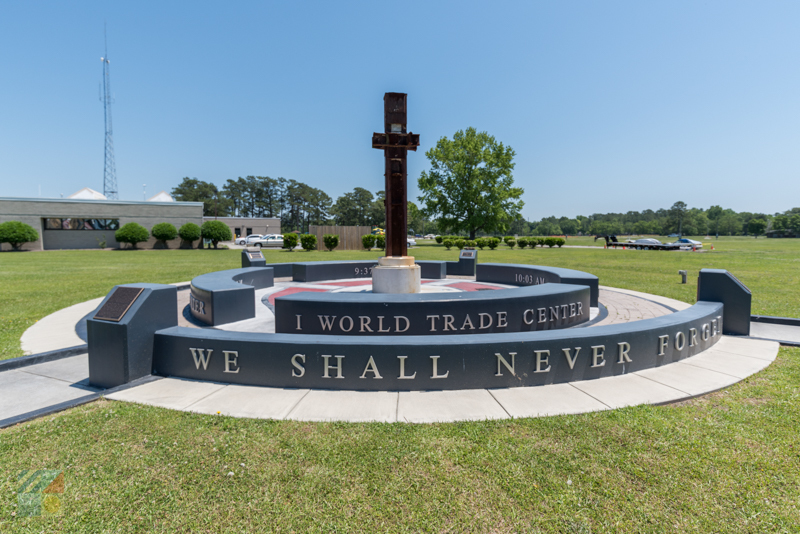 Ten years after 9/11, the City of Havelock dedicated a site to honor the fallen heroes of that day, which centered on an erected artifact from the World Trade Center site in New York City. Since opening the Havelock 9/11 Memorial Plaza, additional and integral pieces from 9/11 have been added to the site, creating an inspiration memorial that honors the men and women who lost their lives. The names of each of the affected sites, as well as the times of impact, are etched on the wall that borders the plaza, and visitors are free to pause and reflect at the peaceful site. Located in between the Havelock local fire and police stations, the new Havelock 9/11 Memorial Plaza pays tribute to a recent and yet unforgettable moment in US History. Take a step way back in time with a visit to the Aurora Fossil Museum – a famed Eastern North Carolina museum that’s found in the town of Aurora, which is located roughly a 45 minute drive away. The museum has a showcase of incredible fossils that date back 2.5 - 22 million years which were donated from local organizations and private individuals from all over the world, as well as meteorite and geology displays. Perhaps the most famous aspect of the museum, however, is the huge fossil pit that is open for all visitors, and which is filled with shells and corals, sharks’ teeth, and other prized fossils that are millions and millions of years old. A fun destination for “treasure hunters” of all ages, the Aurora Fossil Museum is a prime spot to acquire ancient souvenirs while learning a wealth about the area’s deep natural history. Visitors can take an hour drive to the coastline to discover a wealth of museums, historic downtowns, and island forts that are all found within the iconic Crystal Coast. Fort Macon in the town of Atlantic Beach will thrill military history buffs, as the 1820s structure is still wonderfully intact, with five surrounding walls and a collection of 26 brick and stone interior casements, or vaulted rooms, that are open for exploring. Meanwhile, historic Beaufort is home to several museums and attractions – like the Beaufort Historic Site and the NC Maritime Museum – which highlight the history of this distinctive community which is famed as the third oldest town in North Carolina. Finally, visitors will want to make a stop in History Museum of Carteret County, (also known as The History Place), offers guests thousands of different artifacts and historical publications via its exhibits as well as its on-site research library. 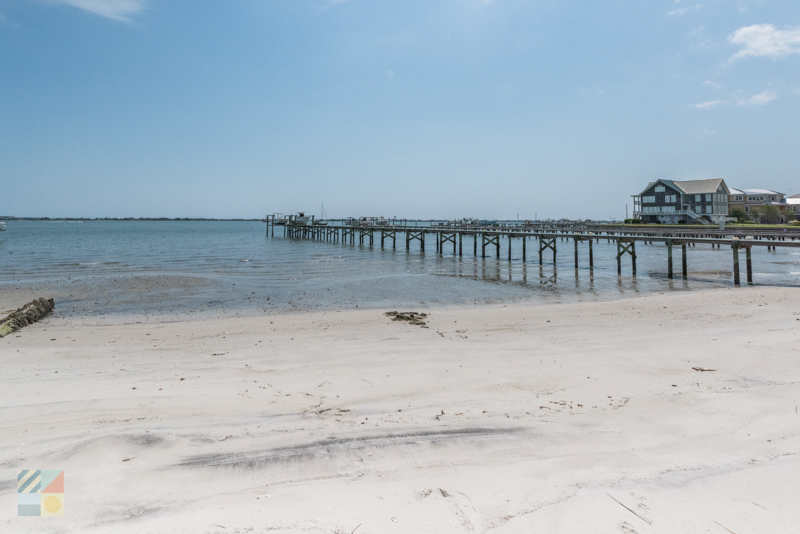 With plenty of historical sites that include the pretty downtown landscapes of Beaufort and Morehead City themselves, the Crystal Coast is a fun day trip where history is found around virtually every corner. Visitors will find plenty of options when it comes to experiencing and learning more about the historical New Bern landscape. From figuring out what to do first, to diving deeper into the local stories, there’s a lot of ways to make the most out of a New Bern historical expedition. Book a Tour – New Bern is home to several different tours that can range from walking expeditions through the downtown area, to trolley tours that chug through the region’s many historic sites. (Visitors can even opt to hop aboard a tugboat or sailboat to learn more about the area from a waterfront perspective.) From self-guided maps to expertly lead ventures, the sheer range of tours in New Bern ensures that visitors can explore all the aspects of local history – and scenery – that suits their interest. Go Shopping – New Bern is well-known in shopping circles as the home of some of Eastern North Carolina’s most engaging antique stores, as the shops here are overflowing with period memorabilia that includes maritime artifacts, Pepsi products and glasses, and period furnishings, décor and more. For an up-close look at history that might include a few treasures to take home, the New Bern antiques scene can’t be beat. 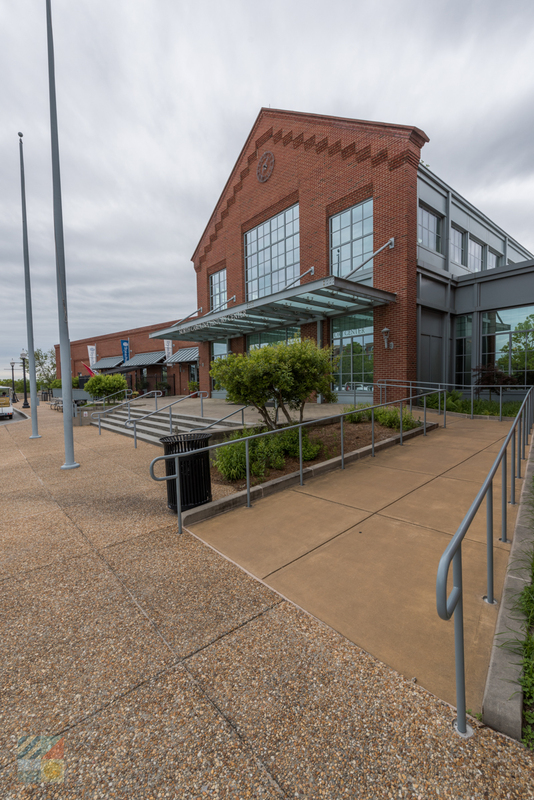 Stop by the Visitors Center – One of the best first stops for newcomers is the on-site Visitors Center and Convention Center, which has tons of information on New Bern’s many historic sites and destinations. Talk to the friendly staff on hand, or pick up a few brochures of area attractions, and start planning your historical adventures as soon as you arrive. From its earliest roots as a Capital city to its claim to fame as the Birthplace of Pepsi Cola, New Bern is overflowing with fascinating stories and events that helped shape the nation. Discover more than 300 years of history with a single visit to a cool coastal town, and see why New Bern still charms visitors of all varieties, more than three centuries after it was formed.